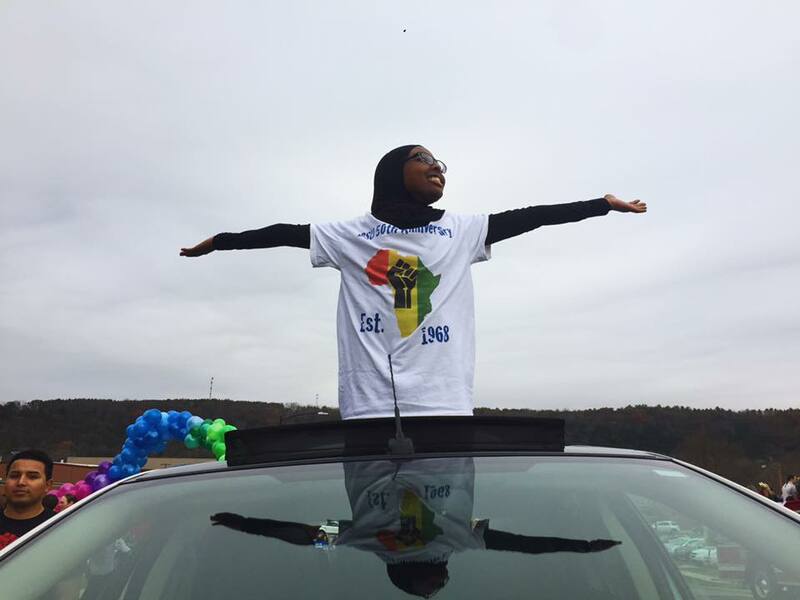 Asha Aden ('20) poses on the BSU car driven in the homecoming parade. Since its founding in the fall of 1968, the Black Student Union has served as a voice for cultural diversity and inclusion, while also providing a safe haven for black students on campus when needed — a place to converse and relate. 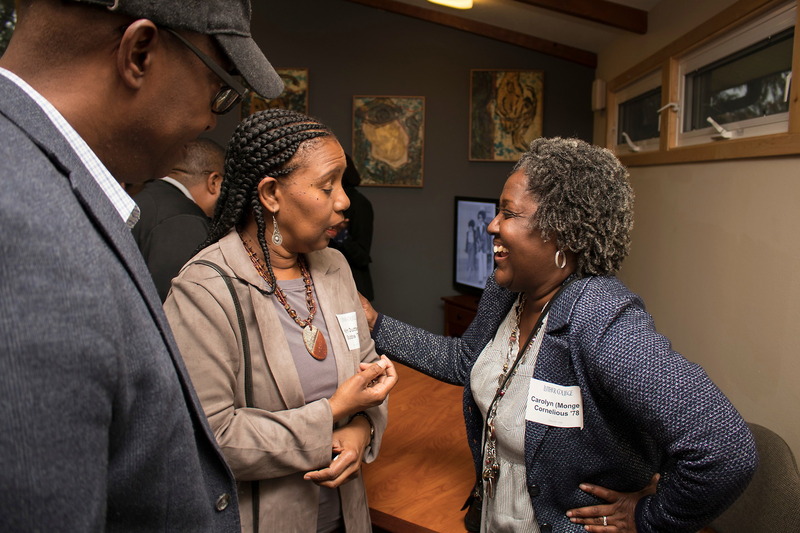 At its conception, BSU “felt that in order for them to have an active part in Luther College’s community, they had to enter it with a knowledge and pride of their blackness. They felt that they could best gain that knowledge through education ventures of, for, and by black people,” according to the Luther College archival research found on Luther’s website. In this light, Jerry Hutch (‘69), Byron Dean (‘71), Augusta Stephens, Reulan Walter and Carmen Allison founded the Black Student Union. Kim Stubbs (’78) and Caroline Cornelius (’78) reunite at the CIES student reception. 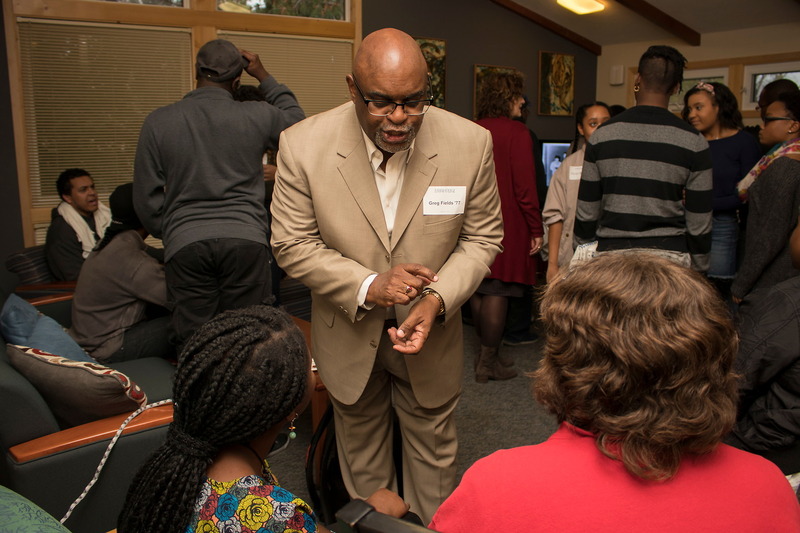 Going to school at Luther was challenging for Terry Ray (‘72), as a black man amidst a predominantly white student body during the late 60s and early 70s. The BSU was originally housed in the Black Cultural Center. Before becoming the Black Cultural Center in 1970, the building was utilized as the major music building on campus. The BSU was a source of comfort for Ray throughout his time at Luther. Professor of Religion and faculty advisor of BSU Guy Nave feels that BSU still provides a space to address experiences, some of which are undoubtedly difficult. Greg Fields (’77) engages in conversation with current students. Nave appreciates being able to act as a role model for students in BSU. He found value in BSU and his role in the organization. Throughout Homecoming weekend, BSU hosted a number of events as part of its year-long 50th Anniversary celebration. Current BSU President Asha Aden (‘20) hopes these events will allow current Luther students, BSU members, and non-members alike to connect with BSU alums, to compare experiences, and to acknowledge what BSU has been to Luther and what it can continue to be.